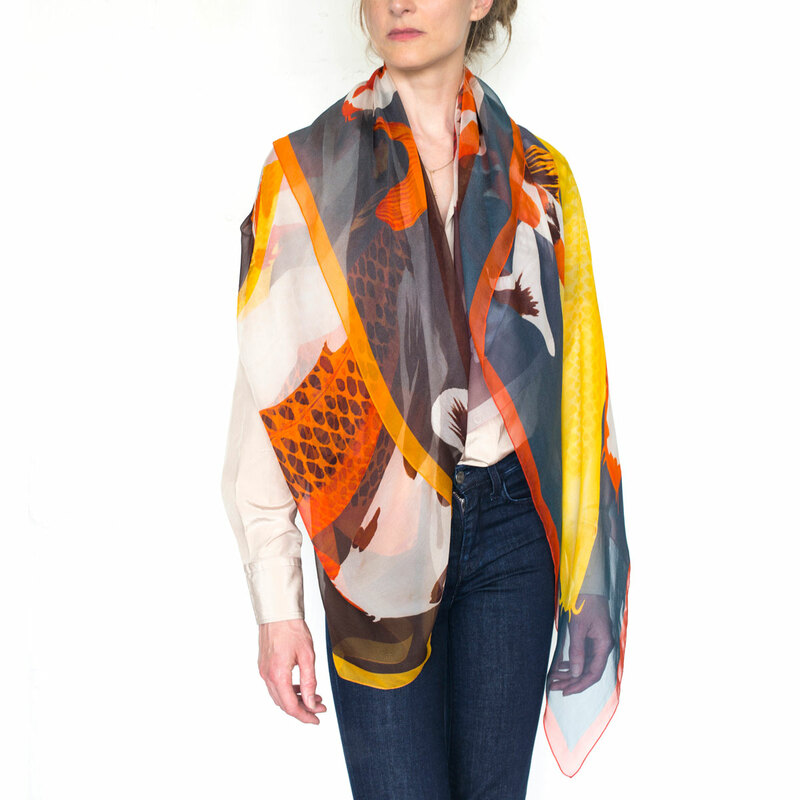 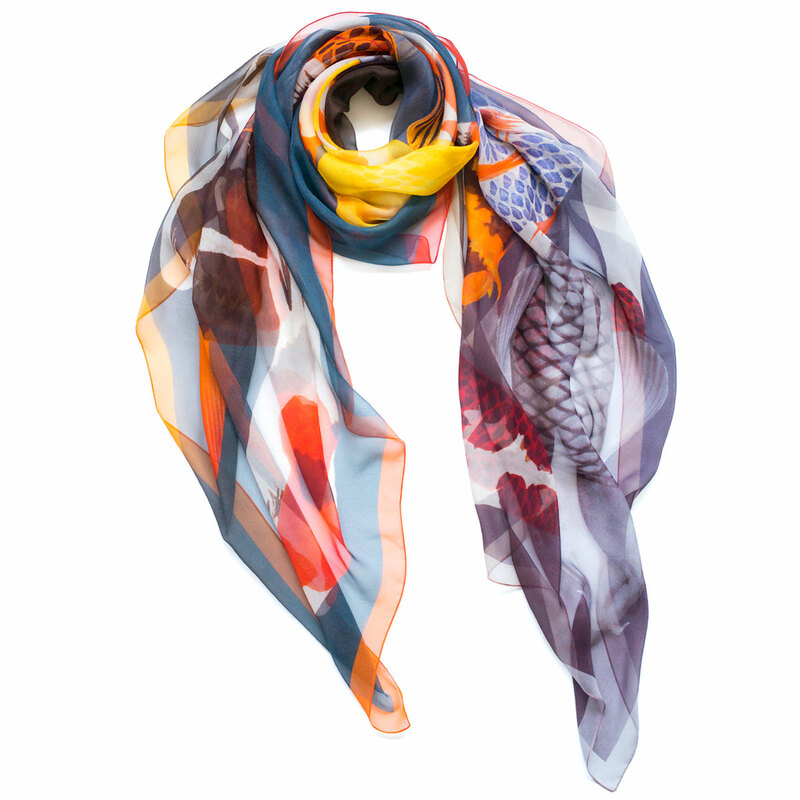 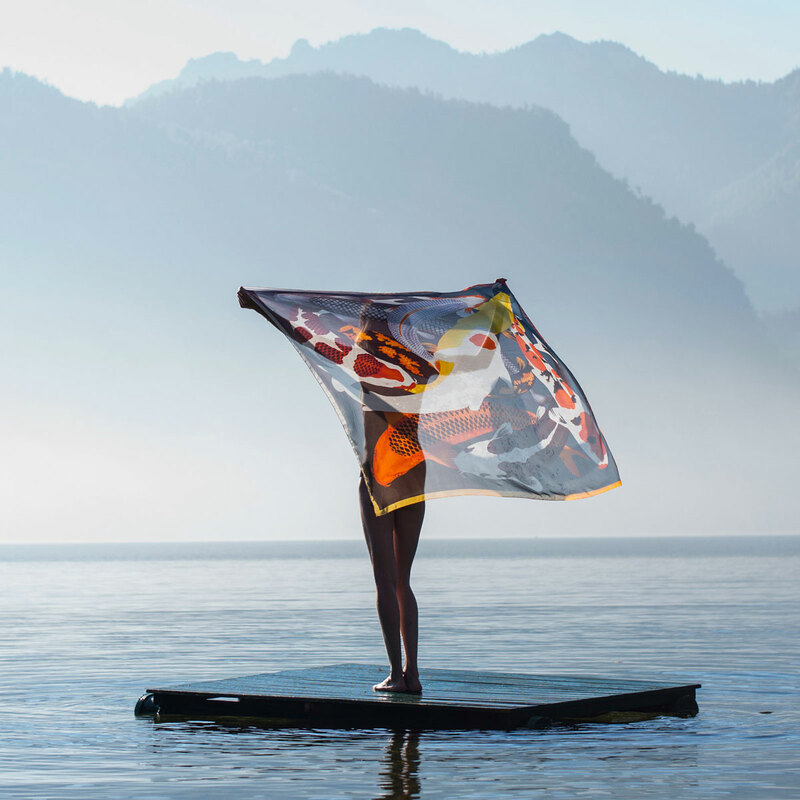 A colourful scarf featuring nine different Koi varieties, printed onto sheer Italian silk chiffon. 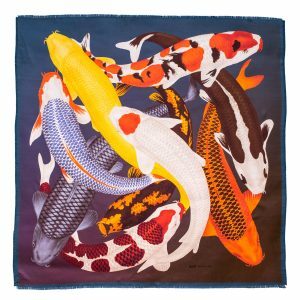 The colours are the actual colours of the koi breeds. 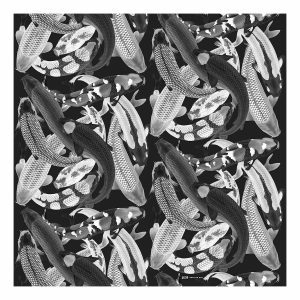 They are Sanke, Kigoi, Asagi, Tancho, Kumonryu, Matsuba, Utsuri, Goromo and Soragoi. 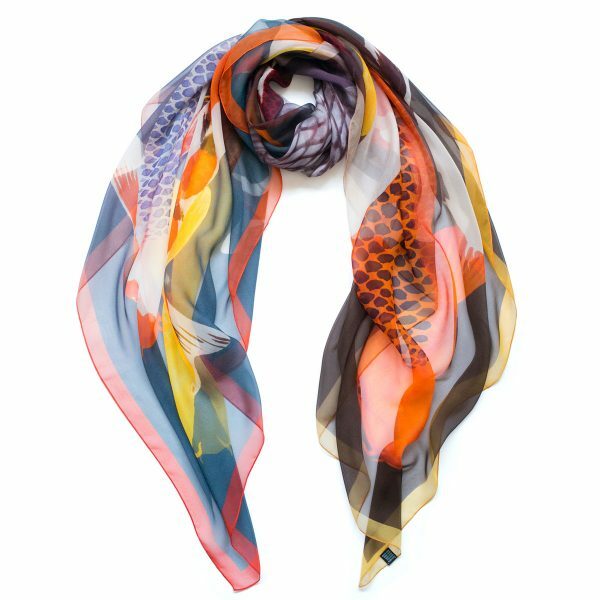 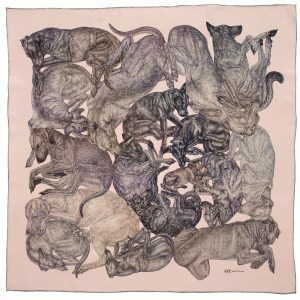 The variety of colours combine well with either neutrals or other colours, so this scarf is very versatile and ideal for transitional temperatures. It can also be worn as a statement piece on a simple neutral dress. 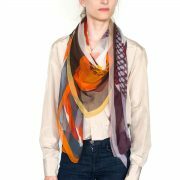 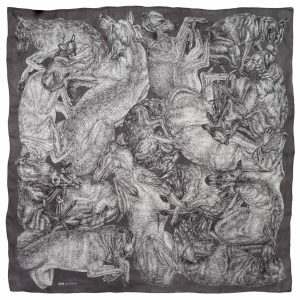 140 x 140cm, can be worn wrapped around neck or long and floating. 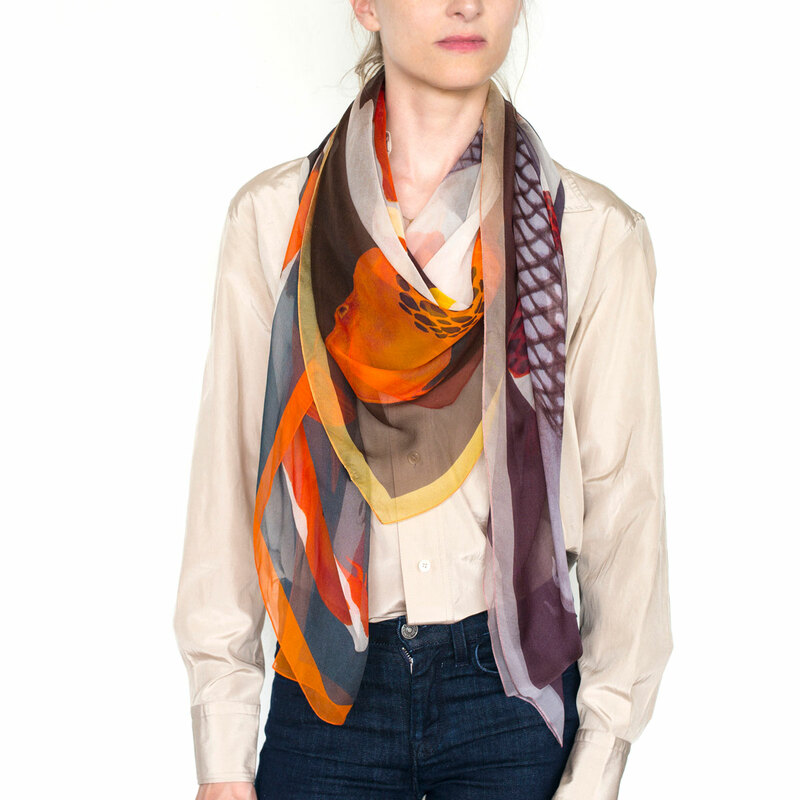 Care: Dry clean. Can also be steamed to refresh and remove creases.